This morning I had the pleasure of interviewing her for my movieScope magazine column on acting for the camera. You can especially realize what a great actor she is when you chat with her IRL (in real life). Contrary to the tough cop - judge - attorney - you name it powerful don't-mess-with-me cynical role you've seen her portray in the past several years? The woman is actually an optimist and very positive; she laughs easily and is one happy person - her joy in life is infectious! I'll be writing about the good works she and her anthropologist husband do fighting AIDS (among other charitable causes in which they participate) and other artistic endeavors here - including a vocal CD Smoke. Her CCH Pounder website is still a work in progress - but it's a great place to catch up on at least some of the many acting awards for which she has been nominated and won. If you're an actor, director or producer, Ms. Pounder has some terrific insights about improvements that can be made in the industry as well as some enjoyable (now -painful at the time) vignettes about career decisions that she blew along the way -- in hopes you can avoid some of the pitfalls. Honestly, I have no idea how I can cram all the wisdom and sharp critiques she shared with me into one column. So I'll just have to write what I can't fit into the column right here, gentle reader! At the conclusion of our interview, I told Ms. Pounder that speaking with her has made me a richer person. If you know me, you know I do not say these things cavalierly. I hope you have the opportunity to read my column - and learn what this internationally reknowned artist has to say that will help your art, craft and self-knowledge. 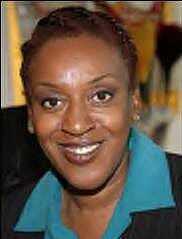 CCH Pounder is brilliant. I hope to meet her some day. Her CD SMOKE is also a real treat. The overwhelming response to my CCH column is not only a great respect for this artist, but literally everyone says she sounds like someone they've love to hang out with. That's a genuine insight, because she is absolutely warm, thoughtful and open - I can't imagine anyone who *wouldn't* want to know this terrific woman! I hope you do meet her - you won't be disappointed!